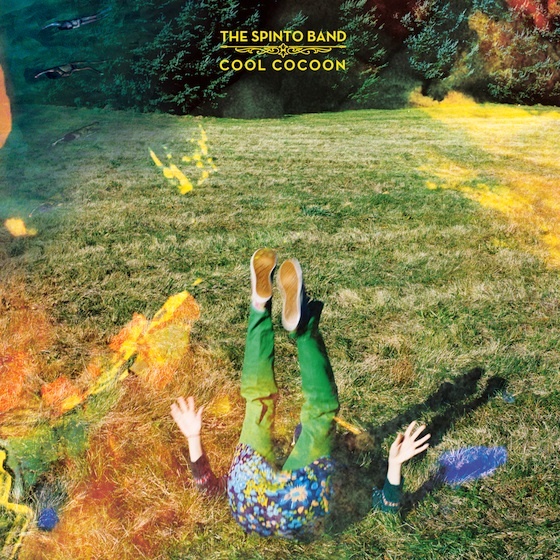 Cool Cocoon is The Spinto Band’s eigth or ninth album. Active for over fifteen years, this band gets better and better at what they do. This album demonstrates that trait quite admirably. Tight songwriting, of-the-moment electronica inspired timbres, traditional harmonic progressions, and an orchestral rhythmic style all coalesce to produce an album that is sophisticated enough for the hipster crowd while also being incredibly well written. In pure musical terms, this band is something of an enigma, in that they are old-fashioned in a sense. The songs possess a strong sense of composition, in that they sound crafted by a group of people with very honed sensibilities. The music is truly beautiful, and the icing on the aural cake are the vocal harmonies. The emotional impact conveyed by the juxtaposition of lead vocals and layered backing vocals always packs a wallop. Rhythmically, this band has no peer. There are times on this recording when it sounds like each member of the band is locking into something completely self-contained and disparate from every other member. The end result is a massive sonority, something along the lines of what the European masters of centuries past achieved with an orchestra, translated into rock and roll terms. The use of varied instrumentation from track to track, coupled with the interspersed keyboard and synth washes adds to this overall feel. To top it all off, the lyrics possess a literary quality, replete with intelligent word choices and more rhythmic sophistication, this time manifesting in the form of syllable arrangement. This album is indie rock as art.